Getting Paid to watch videos or television may seem like a pipe dream to some, but the reality is that there are companies that will pay you for these simple activities. Most of these companies are not going to pay you much for your time or effort, but if you are already going to be binge watching something, why not get paid a little extra for the effort. This is my big list of 21 ways that people are getting paid for watching videos and TV. If you aren’t familiar with them, online rewards programs pay you to do things online that you may already be doing on a regular basis. This includes actions like using a search engine, shopping, and of course watching videos. Be aware that most of the sites in this section are going to hit you with a few emails a day. I recommend setting up a separate email account just for their notifications. Theses sites do not pay a lot for you to watch videos but they allow pretty much anybody to sign up and start earning. If you are looking for just a little side income then this is the place to start. Swagbucks is one of the oldest rewards programs on line. They got their start as a search engine that paid you to do all your searching from their website. As time has gone on they have developed more and more ways for us to earn money from their single platform. This includes adding a section where they pay you to watch videos. There are a bunch of other ways to earn cash through this platform and you can use this Swagbucks review to learn how to maximize those earnings. Inbox Dollars is now a direct competitor to Swagbucks. They pretty much reward you for doing all of the same things. The company got its start as one of the most dominant get paid to take survey websites. Like Swagbucks they kept expanding their offerings of ways to make money online. Get the full rundown of all the different way you can earn cash with this Inbox Dollars review. MyPoints is kind of the granddaddy of the get paid to do stuff programs. They actually started in 1996 and have been giving points and gift cards ever since. I opened my first account in 1998 and still get a gift card from time to time. Just like InboxDollars and Swagbucks they keep adding new ways to earn and that includes watching videos. Taking a quick break from the larger get paid to watch videos sites, SlideJoy pays you to view ads on your smartphone. The way it works is you install the app, and then when you hit the on button on your phone it shows you an ad. If you swipe right it takes you to your normal phone screen. If you swipe left it takes you to learn more about the ad. Either way you get paid for watching the ad. 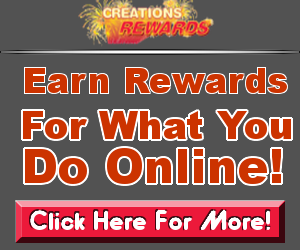 A smaller player in the rewards program websites, Creation Rewards has been around for a very long time. 13 years is an eternity on the Internet so they have been around long enough to prove they deserve consideration. The payouts are competitive and their video channels have a consistent flow. Just like their more well known competition, they have a ton of other ways to earn money, so if you are looking for one comprehensive online money making site you can keep them in the mix. Quick Rewards is a favorite of many because it is available to anyone from Canada, GB, or the U.S. Just like the other get paid to sites they give you a variety of ways to earn money. You can even play games to earn cash. The payout is super low. Overally this is a very solid program and if I had the history with them that I do with the top three they would probably be higher up my list. Quite simply anyone can join You-Cubez and get paid for views on advertisers websites. Most of these websites are landing pages with video ads. If you are interested in just watching what you want, then sign up for RewardTV. They allow you to watch your favorite shows and then answer trivia questions about that episode. Points are redeemed for cash, giftcards, and merchandise. They also have a daily drawing for $10,000 for every day that you do one of the trivia surveys. You are rewards with gift cards for watching videos on PerkTV, which last time I checked spend just like money. The video content is all over the map and easy to watch. They are also expanding into other ways to earn just like Swagbucks and Inboxdollars did way back when. This one is strictly and APP that pays your for your app store purchases. App Nana earns points that can be redeemed for gift card credits. You only get paid in points on HitBliss.com and those points can only be redeemed for movie rentals in their store. So if you are a RedBox addict, then this might be a possible solution for you to save money by watching television. There are actual companies out there that want to know your viewing and how you share that information online. Be aware that these may decide to admit you based off of demographic needs. Screenwise Panel – This one is actually part of Google who wants to know more and more about how people are using the Internet. As of this watching they are closed to new members, but will probably open up again soon (this has happened before). Normally I wouldn’t include a company that isn’t open but you can make $3 a week just for having the app running on your smartphone. So, check back from time to time and get signed up. Media Insiders Panel – Very similar in that they watch your smartphone for how you are using and sharing information. They will pay up to $185 per year for sharing your viewing information. There are companies out there that are actually interested in your opinion. All of these sites are tied into larger market research and want to know what you think. While they mostly do movie trailers and commercials they also pick up information on food advertising and other products. They work with VERY large companies and want to make sure the advertising will work before launching larger campaigns. This is one of the oldest and most trusted survey sites. Not only does MySurvey.com pay you for their surveys, but they are really dedicated to market research for commercials. If I were going to sign up and for one paid to take surveys site this would be the one. Considered the little brother to My Survey, Survey Spot is just as powerful on the online survey market. The videos pay decently well and like every other easy to get into program on this list you aren’t going to get rich doing them (usually less than 50 cents). Lighspeed research is a well respected marketing research company and they run GlobalTestMarket.com. This is one of the largest paid survey companies in the world and those surveys include getting paid to watch videos of different advertising. The jobs/offers in this section are much harder to get into. You will have to do some regular checking and trying to get approved or employed by one of these companies. That being said, they pay A Lot more than the rewards programs and the market research groups. Netflix actually pays people for binge watching. Of course you have to binge watch what they want you to watch. The people who have these jobs are called Taggers and it allows Netflix to properly categorize the movies and shows that show up in their library. The jobs only come open every so often so keep checking the Netflix jobs board to see if one is available. Some people believe their pets are people and will spend money just for someone else to keep them company. The truth is that pet sitting is a pretty boring job. So while fido may provide company the conversation really isn’t that great. Fill that time by kicking back and watching some television. If you feel like you should let the dog feel like they are a part of your getting paid to watch television scheme the tune into Animal planet from time to time. Getting started can be as easy as putting your contact info up on Craigslist, but expect a background check since you will be entering someone else’s home. Michael Vick style background probably should not apply for this one. Nielsen is the gold standard when it comes to rating how popular television shows are. This includes ANY television show, even news. The problem getting approved is that tons of people already know about Nielsen and they only need so many people in each area. They pay pretty well for you explaining what you watch though, so it is worth checking from time to time to see if you can become one of the Nielsen Families. Sounds crazy right? CableTV.com actually has a scholarship for people who take a picture of themselves watching TV. It’s pretty competitive but getting a scholarship that pays you $1000 for watching television is worth the hassle. If you go to the page and the scholarship is already gone, they offer this scholarship on a regular basis so check back every month or so.